Meeting its target, becomes missile. the harder the glass shatters. nods of disbelief ripple down the aisle. 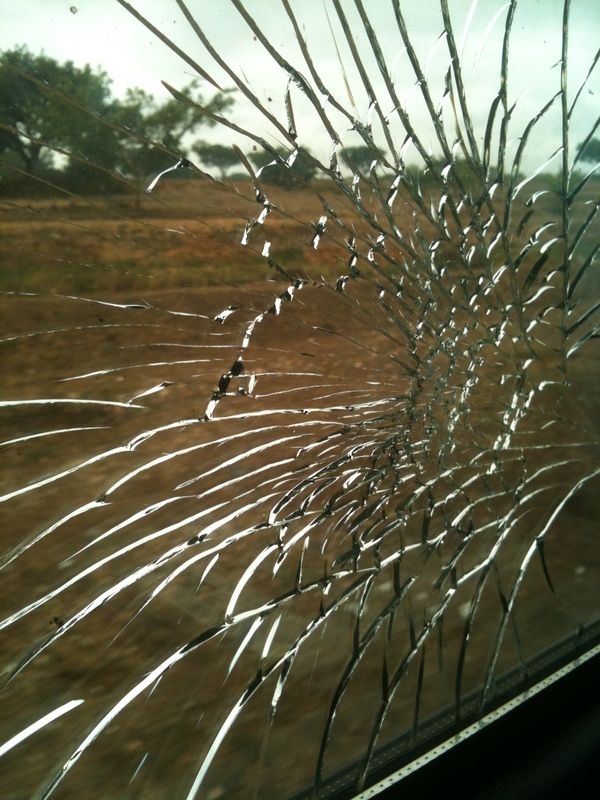 Nearly every single window in C5 on the Chennai-Mysore Shatabdi is broken. Some in several places. I had the last intact one. It didn’t last the journey.